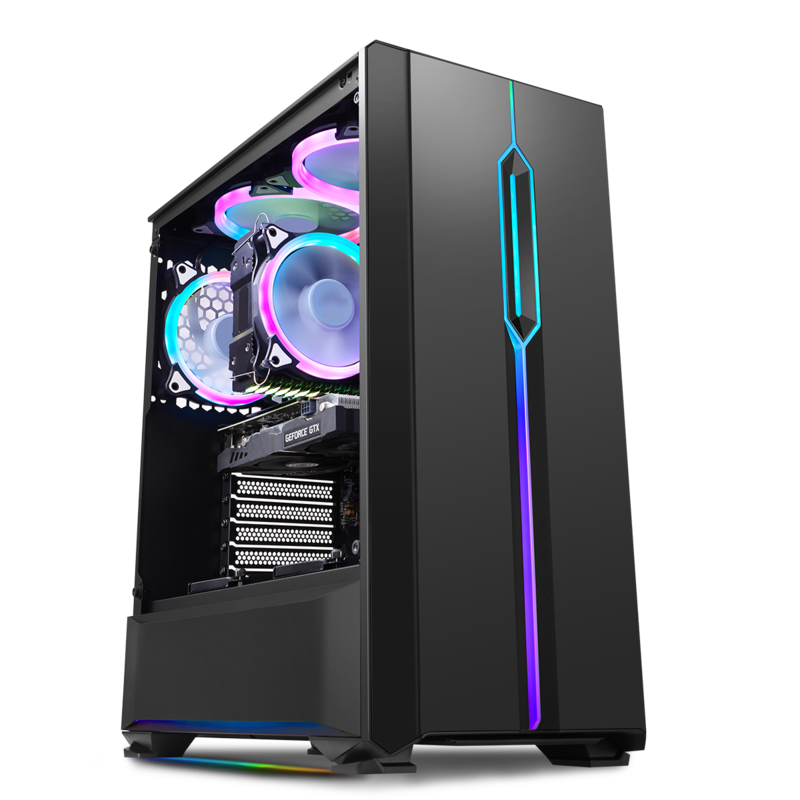 Brand new for 2018 Game Max are proud to introduce the next generation of gaming cases, the Game Max Solar. Available in black or white this is a Mid-Tower gaming case that delivers excellent RGB LED illumination from the strip that runs down the front, the strip can be synced up to your motherboard allowing you to control the LED strip from the button included on the top or through software from your motherboard. Your choices are endless. The 4mm solid tempered glass panel included on the left-hand side is uniquely designed to fit just above the PSU shroud and not covering the entire left side like a lot of gaming cases. Room for six fans in total provide a nice balance of air running through to keep your chassis nice and cool when it is hard at work. The top of the front panel has 5 small cut outs of mesh to again allow for air to get inside. 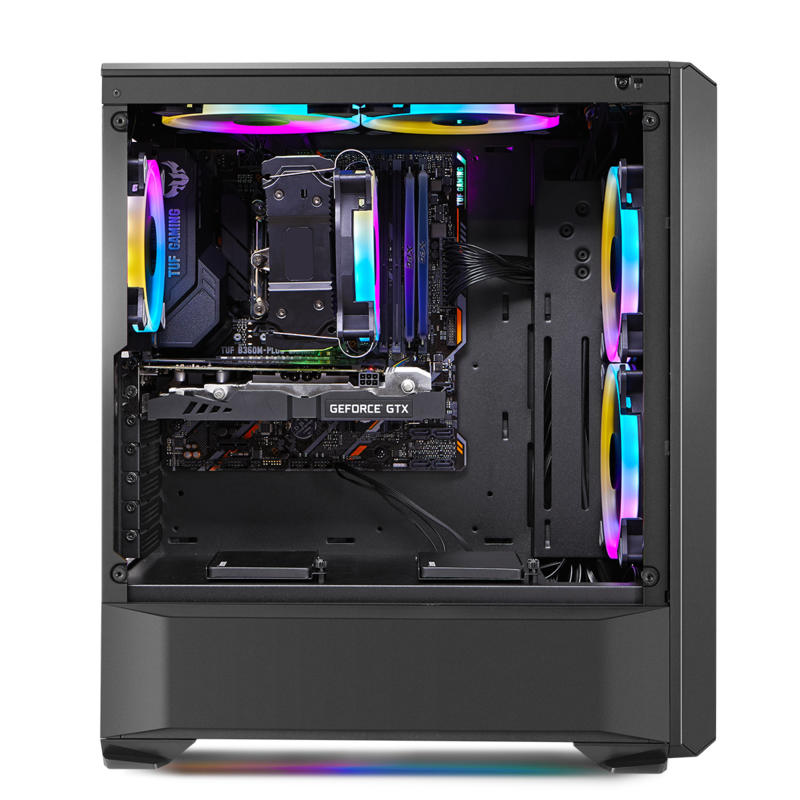 The exterior of the Solar is designed with gamers in mind and it is backed up by the nicely designed interior with easy cable management and a GPU bracket included, this case really could not be simpler to build in. GameMax Solar Mid Tower with Mobo Sync – 3 pin. 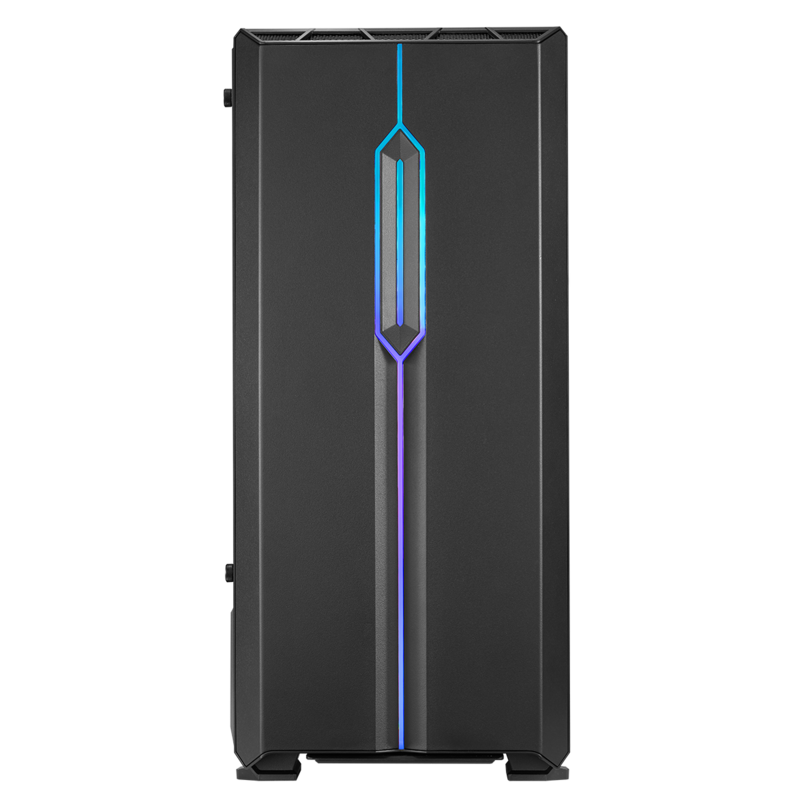 Brand new for 2018 Game Max are proud to introduce the next generation of gaming cases, the Game Max Solar. 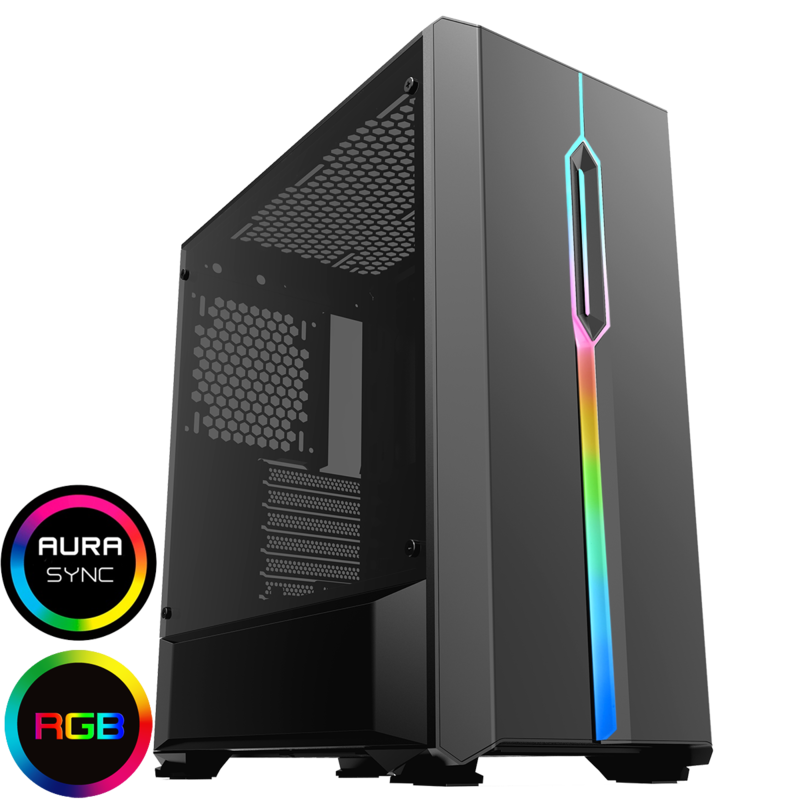 Available in black or white this is a Mid-Tower gaming case that delivers excellent RGB LED illumination from the strip that runs down the front, the strip can be synced up to your motherboard allowing you to control the LED strip from the button included on the top or through software from your motherboard. Your choices are endless. The 4mm solid tempered glass panel included on the left-hand side is uniquely designed to fit just above the PSU shroud and not covering the entire left side like a lot of gaming cases. Room for six fans in total provides a nice balance of air running through to keep your chassis nice and cool when it is hard at work. The top of the front panel has 5 small cutouts of mesh to again allow for air to get inside. 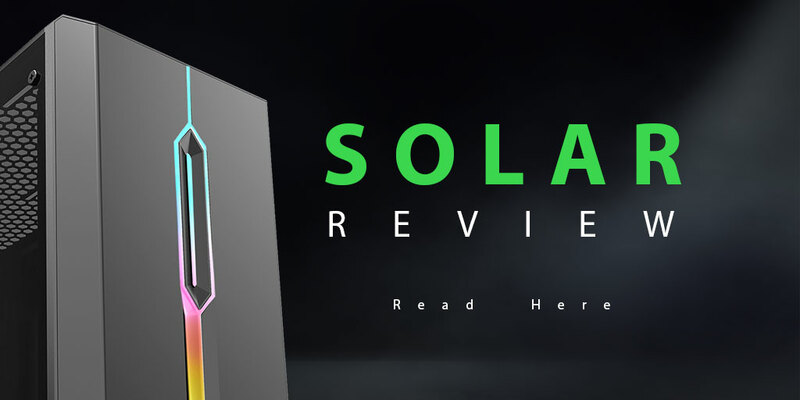 The exterior of the Solar is designed with gamers in mind and it is backed up by the nicely designed interior with easy cable management and a GPU bracket included, this case really could not be simpler to build in. The USB ports and HD Audio are located on the top allowing for easy access and you can connect to most media storage devices. 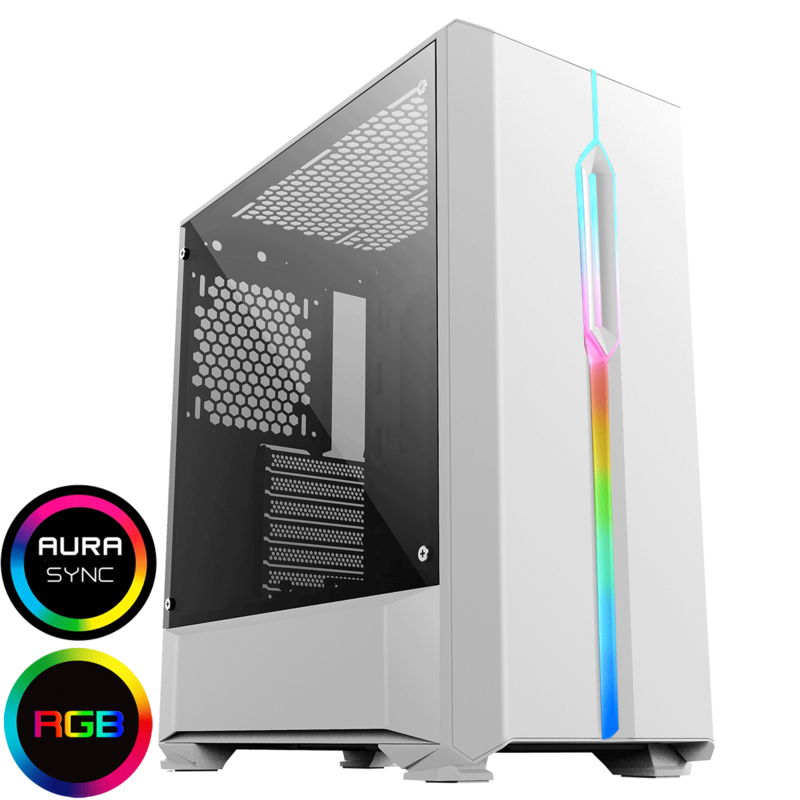 4mm Tempered Glass Side Panel – The tempered glass side panel is solid and thick, allowing the user to show off their internal components. Compatible Design – There are SSD holders on top of the PSU cover and the case can hide two 3.5″ HDDs under the PSU cover, providing more options when you choose to begin building. Watercooling Ready – Plenty of space for watercooling enhances your cooling options with room for a 1 x 120/140mm/240mm/280mm/360mm radiator at the front, room for a 120/140/240/280mm at the top and room for a 120mm radiator along with space for mounting a reservoir. Magnetic Dust Filter – A top magnetic dust filter included helps to prevent dust from getting into your build and helps improve the performance of your chassis.